Making Heads or Tails In a Clouded Space: Is Amazon Web Services Right? The Southern California Cisco User Group (SCCUG) has an exciting and enlightening May 10, 2018 discussion you won’t want to miss and can register here. Jason Bomar, Chief Networking Architect for LA Networks, a leading Cisco Consultant in Los Angeles, California, with 20 years’ experience, is going to pull back the curtain on the mysteries of cloud computing and Amazon Web Services (AWS). And possibly reveal the answers to the questions below. Who tried to win a trademark on “Cloud Computing?” – Were programmers really outraged? Did AWS see $20 billion in cloud services revenue in the 4th quarter, 2017? – Do Files Reveal? Amazon Web Services is currently the largest cloud services provider? Their competitors are; Microsoft Azure, Google Cloud Platform, IBM Cloud and off in the distance, you have Oracle and China’s Alibaba that have also recently jumped into the Cloud services provider space. There is also a reasonable chance; your company has some form of cloud computing instituted. Most businesses are connected in some way these days, but not all have migrated their infrastructure, in part or entirely over to the cloud. You may not have made the switch and are considering moving to a cloud-based service. You have a lot of questions and concerns, but no solid answers, that will help you take the next step in your business expansion process. Still on the fence, about using cloud services but must decide? We recommend you bring your thoughts, concerns, and inquiries to us. Joining us and coming to the May 10, 2018 SCCUG meeting is the place to get all your questions answered. You won’t want to skip out on this in-depth discussion. The Southern California Cisco User Group meet once a month at the Glendale Cisco office in Glendale, Ca. These Cisco professionals network and discuss network technologies with each other. Surrounding you that night will be a powerhouse of talent. Bring all your concerns and your questions and tap their knowledge and gather their insight. 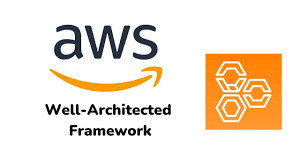 At this meeting, you will see an overview of AWS in general. Then we will dig a lot deeper. We will dive into the very specifics of how Amazon Web Services does networking. As a business owner or decision maker, throwing fancy words or terms at you, you’ve never heard before, at a meeting, doesn’t help you make an informed decision. To prepare you for Jason’s enlightening presentation; below is your cheat sheet of questions you might want to review before the May 10, 2018 meeting. These topics are part of the world of Amazon Web Services and terms you will hear. As you consider, you may have more questions you’d like more details. Bring those questions too. What is a Route Table? What does Routing between subnets inside of a local VPC mean? What does Routing between multiple VPCs (VPC Peering) mean? What does Routing to the public internet (0.0.0.0/0) mean? What does Routing via VPN connection to an on-premise network mean? What is the difference between source NAT and destination NAT? How does the NAT work? What is wasteful data redundancy? What is excessive data redundancy? What is positive data redundancy? How can data redundancy make data inconsistent? What is the difference between All-in versus Cloud first? Is it possible to test first before migrating our entire infrastructure to AWS? What is the most significant pushback from using AWS cloud services? What is a cost comparison from All-in versus Cloud first? We do invite you to register and become part of our Southern California Cisco User Group community, on Thursday, May 10, 2018, at 7 pm Pacific Time at the Glendale Cisco office in Glendale, Ca. There is much to discuss. More to take in and a lot to learn from each other.